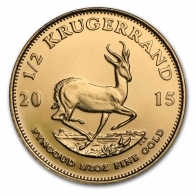 Buy coins issued by the Rand Refinery in South Africa, including the famous gold Krugerrand coin. 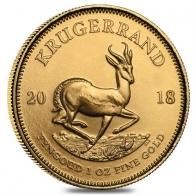 Gold Krugerrands are one of the best selling gold coins worldwide, and have been in continuous circulation since 1979, when they were first released. 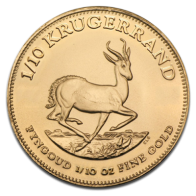 The Krugerrand was the first gold coin issued that was targeted to retail gold investors. 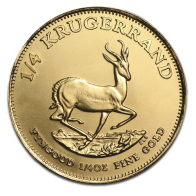 Current year and backyear gold Krugerrands are available, as well as wholesale gold Krugerrands. Coins are also available in silver and in platinum. 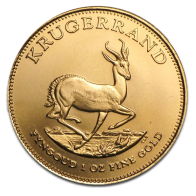 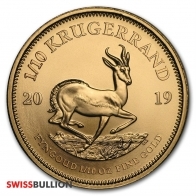 Clients may buy Krugerrands with Bitcoin or with bank transfer for delivery or for Swiss vault storage.